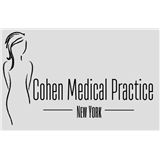 NYC GYNECOLOGY: Cohen Medical Practice PC (New York) - Book Appointment Online! Dr. Yanka is friendly and very sweet and also very professional. She answered all of all question. Very friendly and knowledgeable. This is my 3rd visit so far and everything runs smoothly and professionally. She’s nothing short of phenomenal. I really liked her. She’s very kind and has great bedside manner. I appreciated how thorough and responsive she was. I definitely recommend her. Everyone in the office is also really nice and professional. I have zero complaints.